Martin Kilcoyne, The Sports Director of Fox Tv in St. Louis just tweeted this bit of information on social media a little while ago. If this is true. No disrespect to Jonathan Hayes but this is a disappointing hire. Reminiscent of the original XFL’s hires of Jim Skipper and Kippy Brown. Two long time respected NFL assistants who had no head coaching experience. What? This makes no sense. Could they find nobody that wanted the job? This would be an off the scrap heap type hire. I know that Hayes has been a terrific assistant coach for years and is really good with tight ends. He’s a respected veteran in football circles but he has no coordinator experience. No head coaching experience. Just a bad hire. If this is true. This is a bad hire by the league. I don’t care how well he interviewed or how impressive he is as a person. The league needed to do better here. At least coaches like Linehan or Haslett have Head Coaching and Coordinator experience. They wouldn’t have been exciting choices but they have decent resumes. I hope that this sports director is wrong. Never even heard of this guy. I had heard of Pep Hamilton before he was in the XFL because of his time as OC of the Colts. If he's the St. Louis coach, the XFL needs to embrace former Rams like Isaac Bruce, Orlando Pace and Kurt Warner. I'd stay away from Marshall Faulk due to he way he left the NFL Network. The XFL is going to take a public relations beating on this hire. They might need to hire former Rams just to offset the Hayes hire. If it happens. Might be a B.S. rumor. Maybe he's being hired as an assistant coach, and the rumor machine got it wrong? I thought that too, and I seriously hope that's the case. At this point, even Haslett would be far better. Hayes and Jim Haslett were on the same Bengals staff. Maybe, Hayes is coming to St. Louis to be Haslett's OC. Anything is possible. I was told back in late February by sources close to The XFL and Jim Haslett, that there was talks between both parties for The St. Louis job. Those talks ended with both parties mutually deciding not to make a deal. Source close to Haslett told me that he had cold feet about going back to STL. 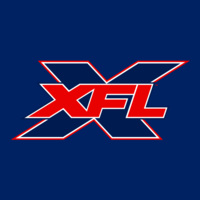 A source close to The XFL, told me that Haslett didn’t interview well and that they weren’t sure if he was the right man for the job. They want candidates that are 100 percent all in. Could things have changed between both parties since? It’s possible that both sides had a change of heart and re-entered talks recently, but I haven’t heard anything about that. No disrespect to Hayes but if that's really the best you can do for the one team you needed to make the biggest impact in to regain hope for the football fans in this area. This ISN'T the kind of hire you go with. You need someone that would create some buzz and the other coaches have that and had experience. That was the other coaches so for at less had and Hayes doesn't fit that. OC ok that's fine but HC? You may as well just went after Bruce no matter how "gimmicky" it is, at less people know who he.